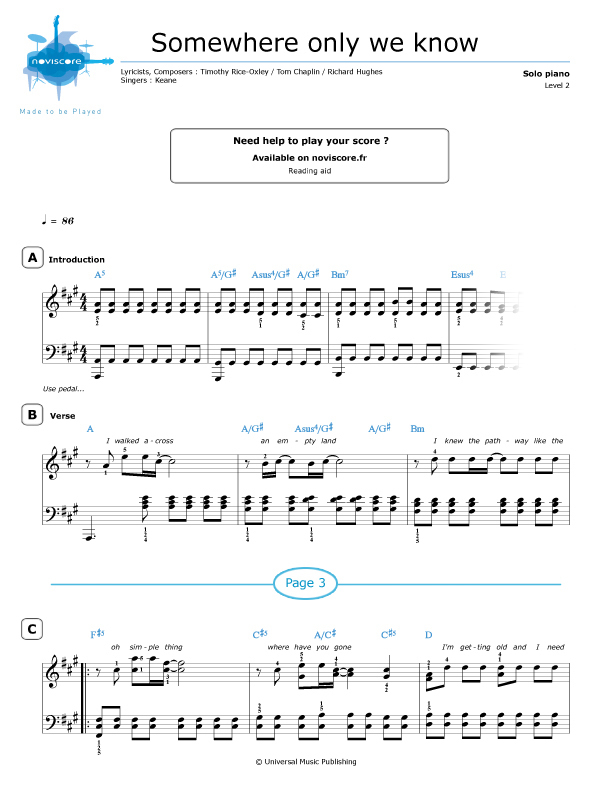 For all fans of British alternative rock band Keane, you'll want to play the piano sheet music for one of their biggest hits, Somewhere only we know. 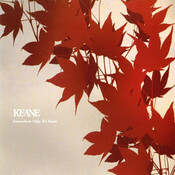 This song, officially released as their third commercial single, is the opening track on their debut studio album Hopes and Fears which was released in 2004. 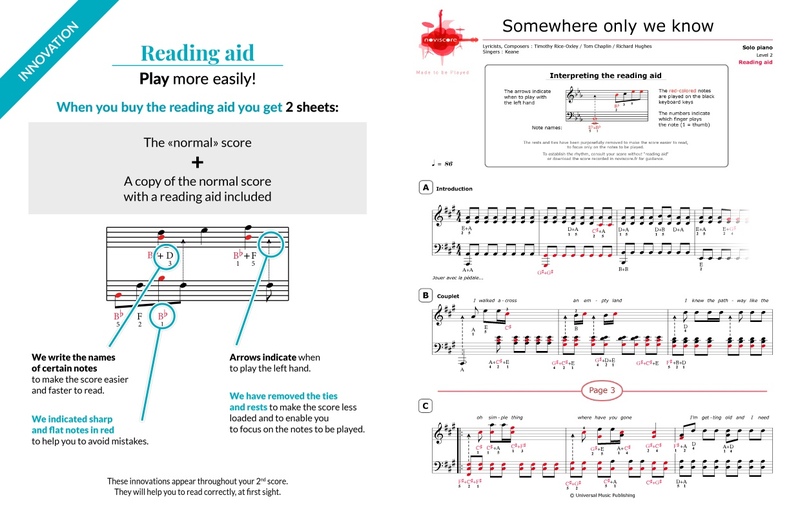 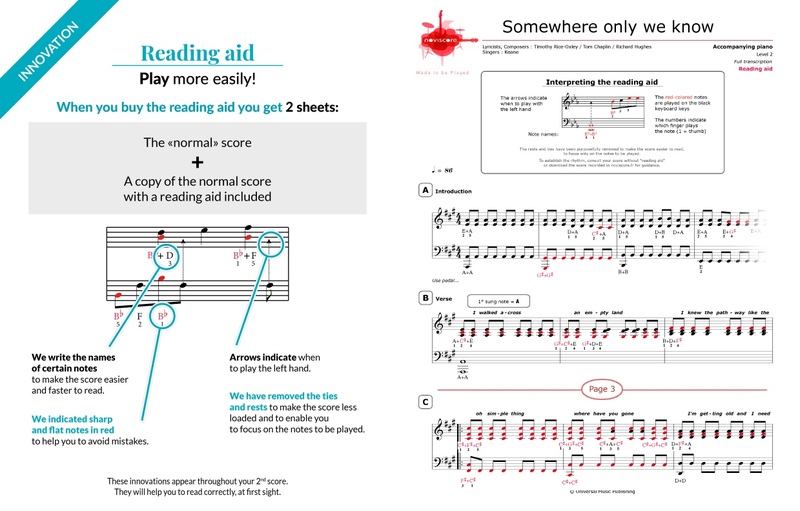 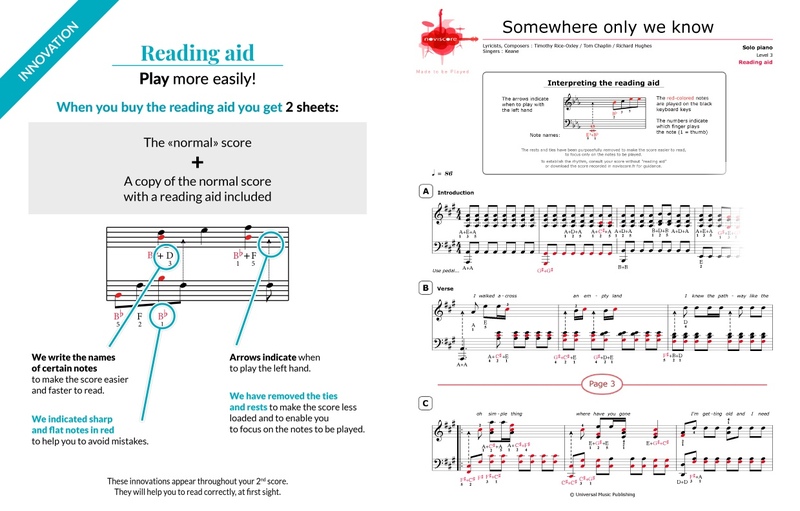 Choose the music sheets best suited to your level of piano playing ability from our three different piano adaptations for piano solo. 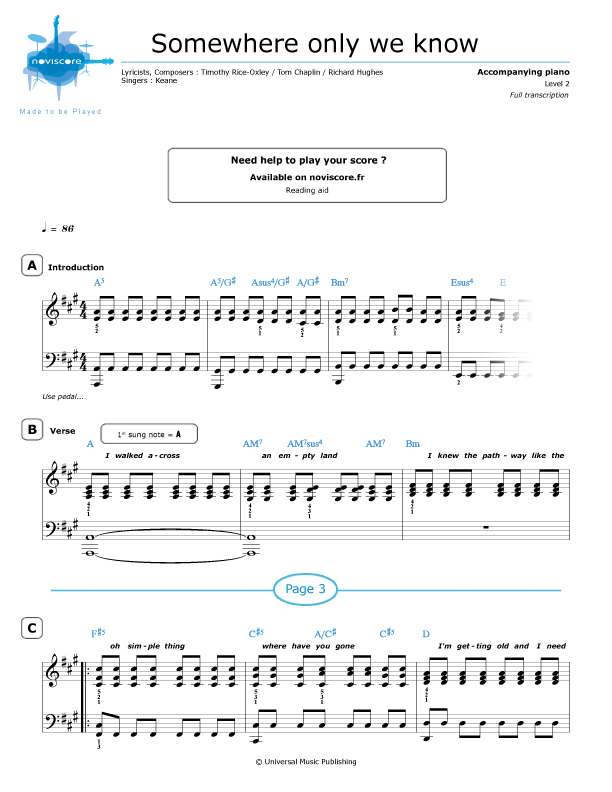 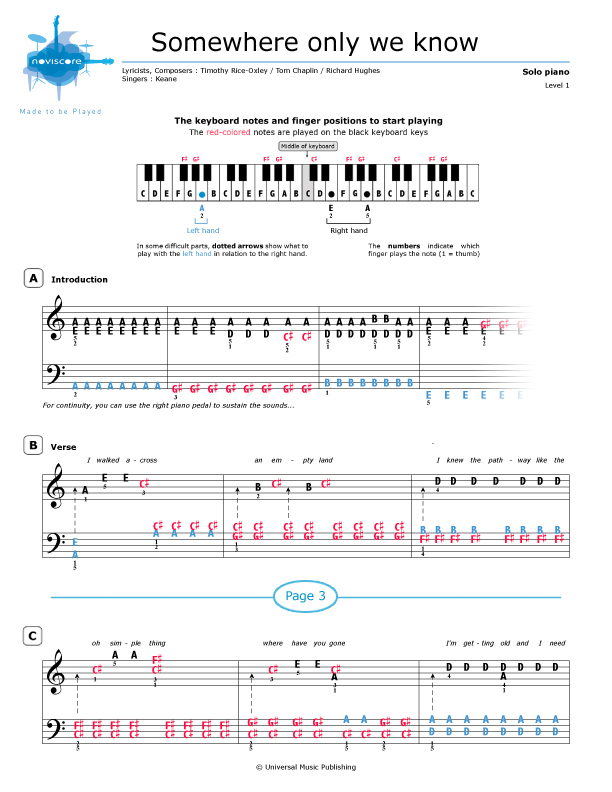 If you have trouble deciphering music, try our Level 1 easy reading piano music with note names instead of symbols. 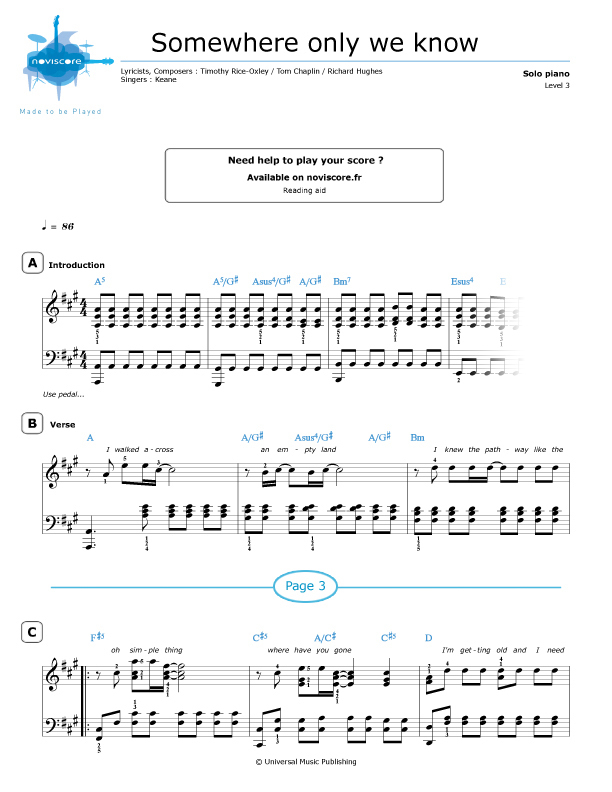 For the more experienced pianist, select Level 2 or 3 for piano solo or why not try our Level 2 piano accompaniment for playing alongside another instrument or accompanying a singer? 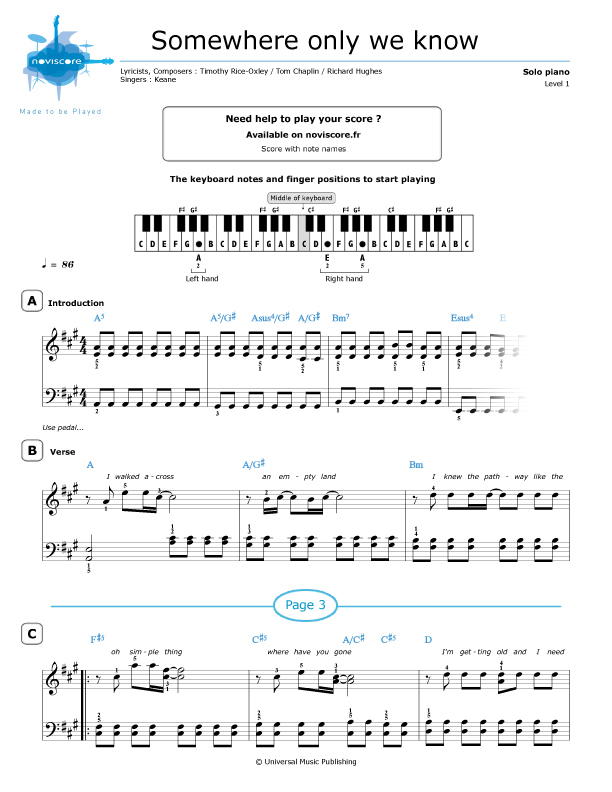 Then, when you're ready, just print out the sheets and start playing!